Sony Online Entertainment will be closing down Free Realms, Star Wars: Clone Wars Adventures, Vanguard: Saga of Heroes and Wizardry Online this year. Over the course its existence, Sony Online Entertainment has been the force behind a considerable number of MMOs both big and popular. That being the case, success in the online multiplayer sphere can often shift at the drop of a hat, forcing companies to constantly re-evaluate if it's worth it to keep certain games going. Sadly, SOE has recently found itself in the unfortunate position of having to do just that and, in turn, has revealed that it will be closing down four of its MMOs this year. "It is with a heavy heart that we announce our decision to discontinue development on Free Realms, Star Wars: Clone Wars Adventures, Vanguard: Saga of Heroes and Wizardry Online," said Michael Cagel, SOE's senior director of global communications. 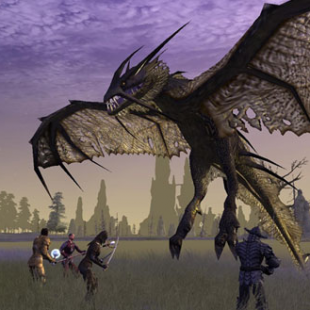 More specifically, gamers can expect Free Realms and Star Wars: CWA to close down on March 31st with Wizardry Online and Vanguard following a few months later on July 31st. According to Cagel, the company is announcing the impending closures now so players "have time to adjust to the news and make plans to enjoy the time remaining in these games." According to SOE, the reasons for each of the announced closures vary. While the company is "proud of what [it] accomplished" with Free Realms, for instance, it says that "players are moving on to other games." Clone Wars Adventures would seem to be a similar case of players "growing up" and discovering other titles. Vanguard: Saga of Heroes was apparently a harder decision, due to it being one of SOE's "longest running games." That said, its "decreasing player population" has apparently made it difficult to "justify" the time and effort required to keep it going. Less information was offered as to the reasons behind Wizardry Online's closure, but it was stated that the decision was mutual between SOE and "our partners at Gamepot." Thankfully, the company has confirmed that there will be no cuts to its staff as a result of these closures.